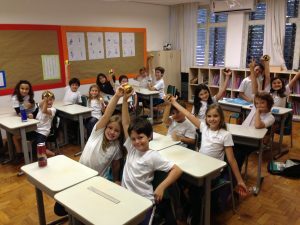 As aulas de ciências no currículo bilíngue sempre despertam grande curiosidade. The fourth grade science project this term is about natural disasters. 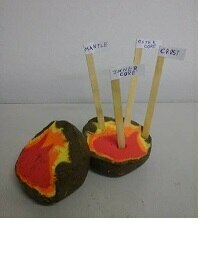 To understand what causes some of the disasters we decided it was first important for the students to know how the Earth is formed. The group first learned about the different layers that form our planet. 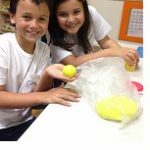 In order to accomplish this in a more interactive way, as homework, the children followed a recipe and brought homemade play dough with specific colors to school. 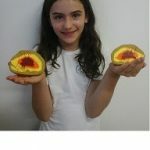 Each color represented one of the Earth’s layers: red for the Inner Core, orange for the Outer Core, yellow for the Mantle, and brown for the Crust. 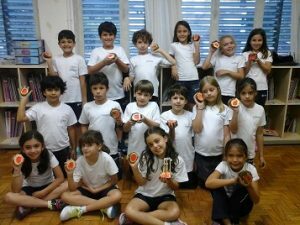 The children certainly enjoyed this hands-on activity, since it was a fun, different and visual way to address and learn the subject. 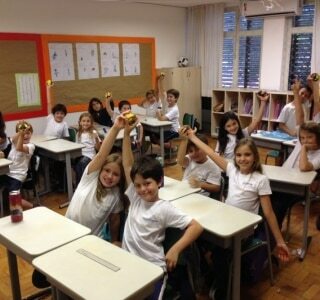 That accomplished, we moved on to better understand volcanoes, earthquakes and other natural disasters.